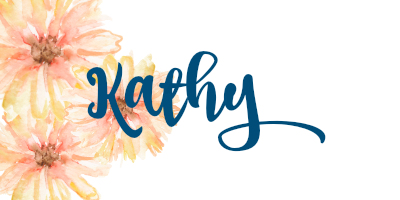 #stampinup #faithfulinkspirations So, apparently, I took a week off from creating and blogging. I hadn't planned on doing it. I just never felt that creative urge last week. Nothing was wrong. Maybe I just needed a little time to chillax and have free time. My kids are in college now (well, the oldest is still home), so I have lots of free time. I took advantage of that and honest-to-goodness did absolutely nothing last week. It was kind of glorious in a guilt-ridden kind of way. Over the weekend, I attended the Proverbial Stampers Holiday Catalog sampler get-together. We have a sampler session with the launch of every new catalog. It's a great way to build up our samples. And, for me, it's a great way to get to make cards with sets I don't (yet) own. I'm always glad to go, especially when my BFF Lynn can come along. It's a great time spent chatting and stamping. I must have completely overlooked the "Festive Phrases" stamp set in the Holiday catalog. I skipped right over it. Thankfully, we made four cards with this set and now it's on my wish list!! Today's card is really simple and really cute! First we stamped the "pick your potion" image in Basic Black Archival Ink onto a 2" by 2-3/4" piece of Whisper White Card Stock. 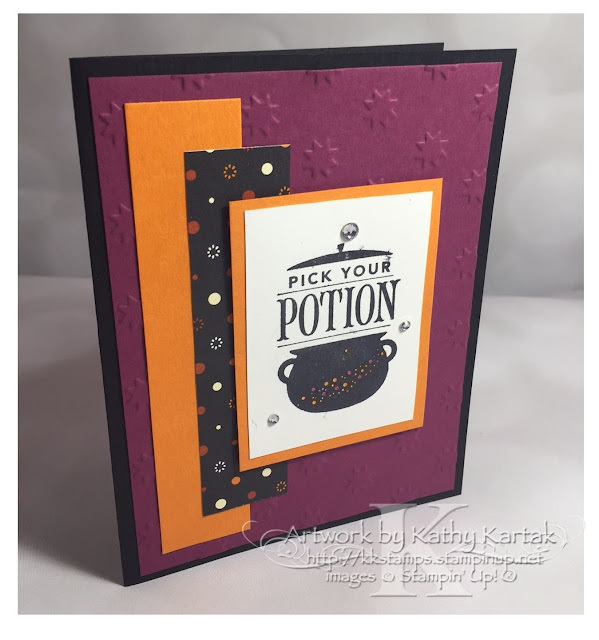 We used Rich Razzleberry and Pumpkin Pie Stampin' Write Markers to color in the dots on the cauldron. We adhered this to a 2-1/4" by 3" piece of Pumpkin Pie Card Stock. Next, we embossed a 4" by 5-1/4" Rich Razzleberry Card Stock mat with the Oh My Stars Embossing Folder. We adhered this to a Basic Black Card Stock card base. We added a 1" by 4-3/4" strip of Pumpkin Pie Card Stock and a 1" by 4" piece of Spooky Night Designer Series Paper before using Stampin' Dimensionals to add the stamped focal point. I finished the card by adding a few Basic Rhinestones. Isn't this card adorable? Wait until you see the other cards we made from the "Festive Phrases" stamp set! I'll be sharing them in the next week or so, so stop back often to see what I've been up to!